Shari Lifson is the Corporate Communications Coordinator for the Association of Universities for Research in Astronomy (AURA). 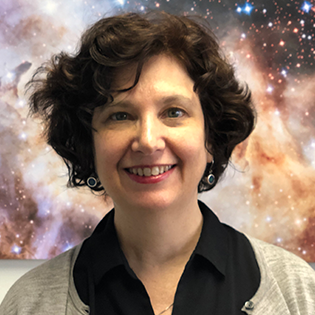 She is responsible for working with AURA’s five centers: Space Telescope Science Institute, Large Synoptic Survey Telescope, Gemini Observatory, National Solar Observatory, and National Optical Astronomy Observatory to develop cross-center communication efforts and strategies. Prior to joining AURA, Lifson worked as a Communication Officer for the Center for Climate Systems Research at the Earth Institute/Columbia University. Lifson holds a master’s degree from Columbia in Sustainability Management and a master’s in Visual Communication from the Pratt Institute.